Need a Professional Cleaner in Surry Hills? Pristine Home offers comprehensive home and office cleaning services to help residents of Sully Hills maintain a clean and relaxed home. 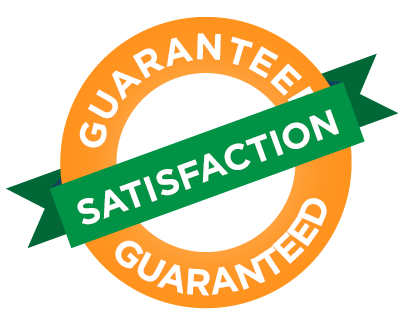 We have more than ten years of experience in the cleaning industry, and have a roster of loyal and new customers who continue to seek our services because of the quality of the work we deliver. As part of our commitment to ensure the safety of all customers and their homes, we only employ individuals who have been background checked. Whether you need a weekly cleaning for your home, or just a one-off spring clean to bring new shine to your living space, we have you covered – simply book online. Would you rather spend your free time cleaning or relaxing? If relaxing is the answer, then our domestic home cleaning services could be the perfect option for you. Our services are flexible: whether a weekly, fortnightly or monthly clean suits you best, or even a one-off clean – we’ve got your covered. If you are moving out of a Surry Hills rental property, you’ll be required to perform a detailed cleaning of the place. If this sounds like a big task that just does not fit your hectic schedule, just book our end of lease cleaning service. We will take care of degreasing the kitchen, vacuuming floors, and removing cobwebs, and that’s just getting started! Moving in / moving out of your home is time consuming, exhausting and stressful. Our team are professional cleaners, and they know all the nooks and crannys that need to be cleaned, dusted and scrubbed to make the place shine like new. So instead of getting overwhelmed by how much cleaning needs to be done – give Pristine Home a call and let us take care of the cleaning for you. Is your tenancy expiring soon? For many renters, vacating a property means having a long list of things to accomplish to make sure all belongings are packed, and the bills are finalised. Before you hand over the keys to the real estate agent, you must ensure that the place looks as close to its original condition as possible. Minus general wear and tear, the property must be in good condition to pass the final inspection, and to improve your chances of getting your bond back. Why burden yourself with the cleaning when you can choose to have professional cleaners come in and do a better job? Our cleaners will get the job done while you look after packing your stuff. Let’s be honest… no one really enjoys cleaning the bathroom… except our professional cleaning crew! They love it – so why not let them take over the job of cleaning your bathroom while you sit back and enjoy doing something you actually enjoy. When spring time is just around the corner, many of us are motivated to perform a one-off clean to spruce up the house. But how do you find the time to do it when most of your waking hours are spent in the office? We can take over the spring cleaning to cut through the clutter that has accumulated during the winter season. With a team of professional home cleaners, commonly-touched surfaces will become free of grease, the floor and carpet will be looking new again, and the windows will look spotless. Booking an office or home cleaning service with us is as simple as 1-2-3. Just book a cleaner online, and we will display an instant quote for your chosen service. The process of booking a cleaning appointment takes less than 60 seconds! All our cleaners are personally vetted and Pristine Home offers a fully insured service. No matter whether it’s for a regular clean or a spring-clean you will enjoy added peace of mind with our Public Liability Cover. 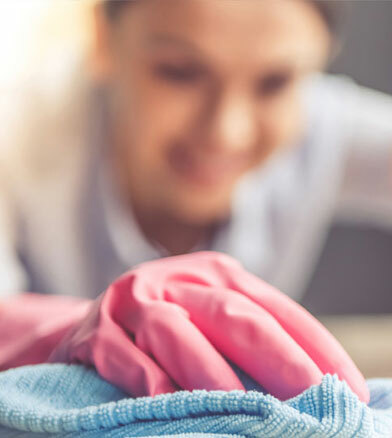 Customer satisfaction is on top of our list, which is why we take steps to ensure that every client is happy with the cleaning service we provide. If our service does not meet your expectations, simply let us know and we will get back to you with a solution, free of charge. Too Time-Crunched to Clean Your Home? You’re Not Alone! Everyone loves coming home to a clean and organised home. However, not everyone can do it on their own, given time constraints due to a full-time job or business. Maintaining your home can be overwhelming when you have to tackle the task alone. If you’re too busy or you simply lack the energy to perform regular cleaning of your home, Pristine Home can help. You can leave the dirty work to our team of dedicated cleaners, and we ensure that you’ll come home to a sparkling clean home. We offer affordable pricing to all clients, and you will instantly know the cost of the cleaning service you need by entering your postcode by clicking on the below link. Surry Hills residents love our cleaning team, because they do an amazing job at cleaning your home at a price you can afford. It just makes sense! We continue to receive great feedback from our customers, for a variety of our cleaning services.